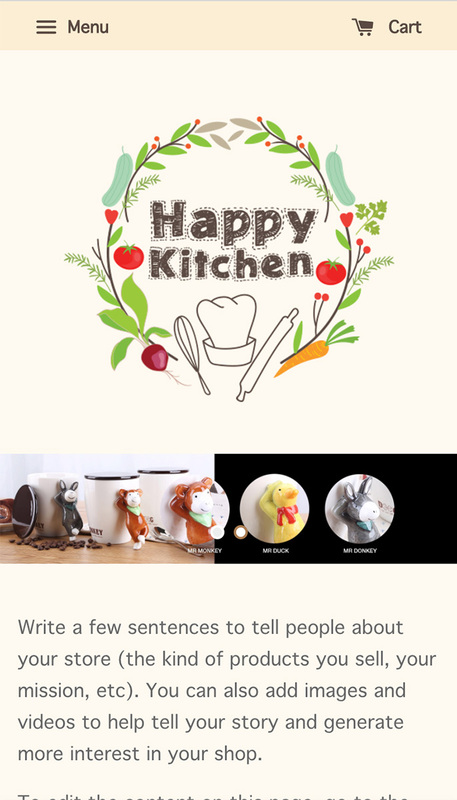 Happy Kitchen is a fully responsive Search Engine Optimized (SEO) theme by EasyStore. The simple and clean theme features a center navigator that can be used to feature multiple levels of navigation and custom content like ads, promotions, contact page. 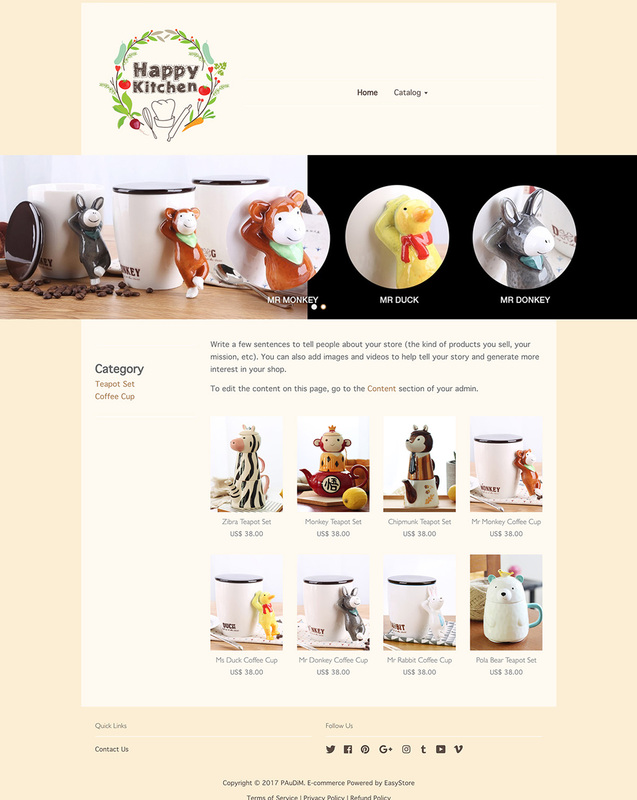 This theme support various image sizes (recommended 800px width by 800px height) to display and highlight the product picture with style.